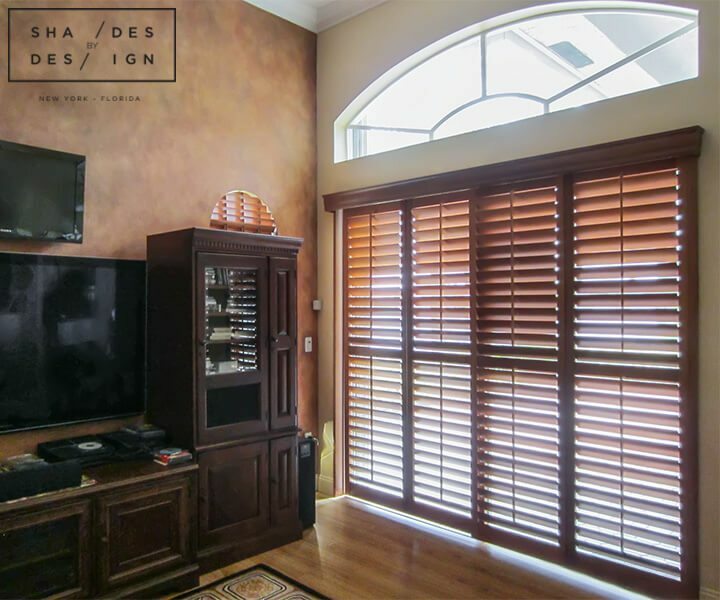 Our client from Pembroke Pines contacted us to repair an old blind that wasn’t working properly and found out that we provide and install custom shutters. We fitted sliding shutters on the balcony door and the arched eye, and added wood blinds on the windows. Goal: Privacy, Light and Glare Control, Energy Efficiency, Match Décor. 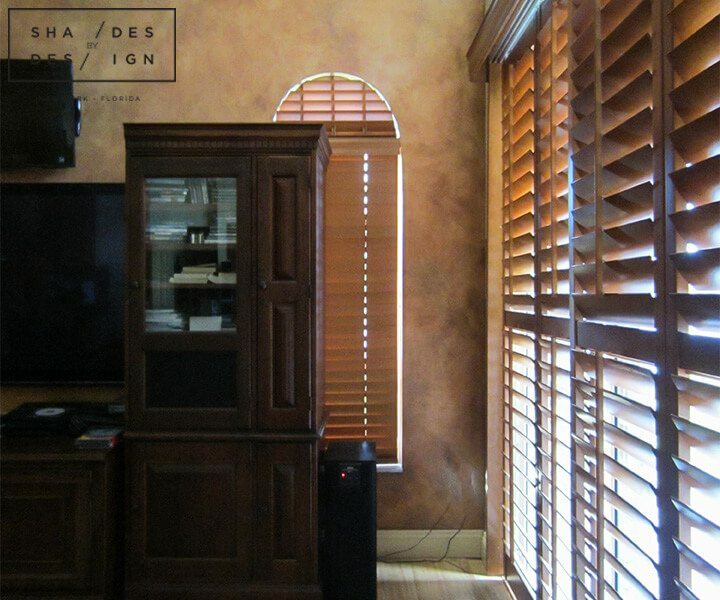 Living Room: Hunter Douglas, Sliding Wood Shutters on Sliding Door; Hunter Douglas Wooden blinds on the window. 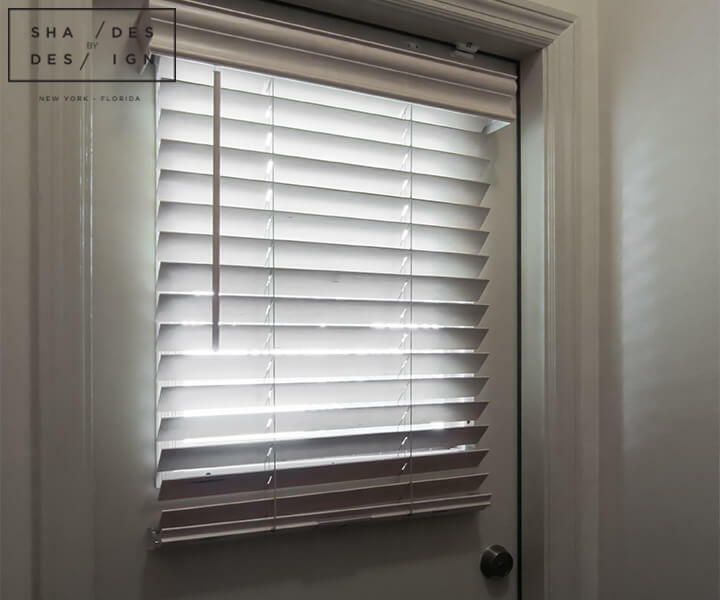 Entrance: Hunter Douglas wooden blinds on door.